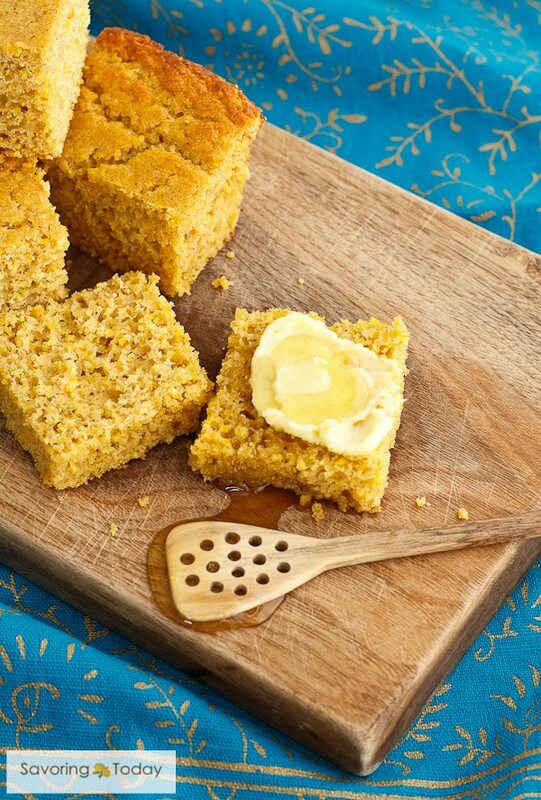 We love the pure, sweet corn flavor in this soft, delicious 100% sprouted whole grain cornbread. Sprouted wheat brings the goodness of whole wheat without that “wheat-y” taste. We show you how to make this amazing cornbread with better-for-you grains. Considering regional differences, add-ins, and baking preferences (some folks swear by cast iron), there are strong opinions about this traditional quick bread. 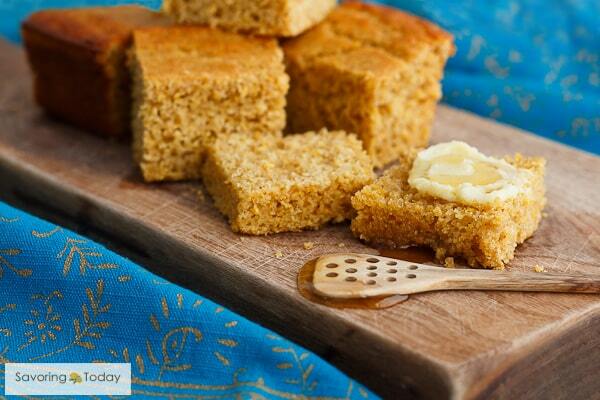 Do you consider cornbread a must beside chili or bean soup? 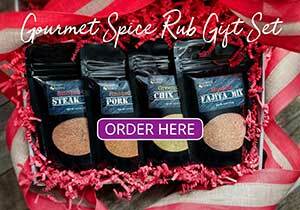 Is it the base for your holiday stuffing? Or do you slather it with butter and honey for dessert like I do? For us, Smoked Turkey & Bean Soup wouldn’t be complete without it. No matter the nuance of musts, I think you’ll appreciate this healthier whole grain version for your family. Most cornbread recipes call for equal amounts of cornmeal and all-purpose flour. Since we choose to eat sprouted whole grains whenever possible, white flour is not a consideration. To compensate for the stronger flavor of whole wheat, I adjust the ratio to include more corn flour than wheat flour so there isn’t a pronounced wheat-y taste. By changing the corn-to-wheat flour ratio, this hearty, moist cornbread has a delicious sweetcorn flavor. TIP: Sprouted wheat flour is interchangeable with regular whole wheat in this recipe if that’s what you have. If there is any distinguishable difference in the taste of sprouted wheat it would be a less bitter, more mild wheat flavor. Even though the sprouted corn flour we use in this recipe may be a little harder to find in stores, I still recommend it. It is available on line or you can use (non-GMO) corn meal as a substitute. Whether you use sprouted flour, add-ins, cast iron—it’s up to you—just be sure you have butter and honey close-by. Read more about the benefits of sprouted grain on my Sprouted Wheat French Bread post and check out even more recipes using sprouted wheat flour below. You can even make your own sprouted grain flour at home. Pure, sweet corn flavor in this soft, delicious 100% sprouted whole grain cornbread without that "wheat-y" taste. Heat oven to 375°F. Mix flours with baking powder and salt until well combined. Add beaten eggs, buttermilk, melted butter, and honey to dry ingredients and mix until flour is moistened and incorporated. Pour into a greased 9x9 pan and bake for 30 minutes, until top is golden brown and bread pulls away from the side of the dish. Allow to rest in the pan after baking for 5 minutes before slicing. Serve warm.